The moment we’ve all been waiting for is nigh: The Great British Bake Off returns to the telly screens, this time without Mary Berry (who left the show when it moved from the BBC to Channel 4), but with bake-off judges Paul Hollywood and last year’s newcomer Prue Leith. Presenters Noel Fielding and Sandi Toksvig are standing by to provide comment. As this year’s contestants fight the devastating heatwave that melted some of their most precious creations, families around the country are gathering in front of the television to witness their mouth-watering cakes. Although conditions in the all-too-famous tent have been challenging, Britain’s favourite baking show is expected to be ready to air on Tuesday 28 August. Don’t Just See It; Eat It! At Ovenu, we love watching a good baking show… but we also like to go one step further every once in a while! 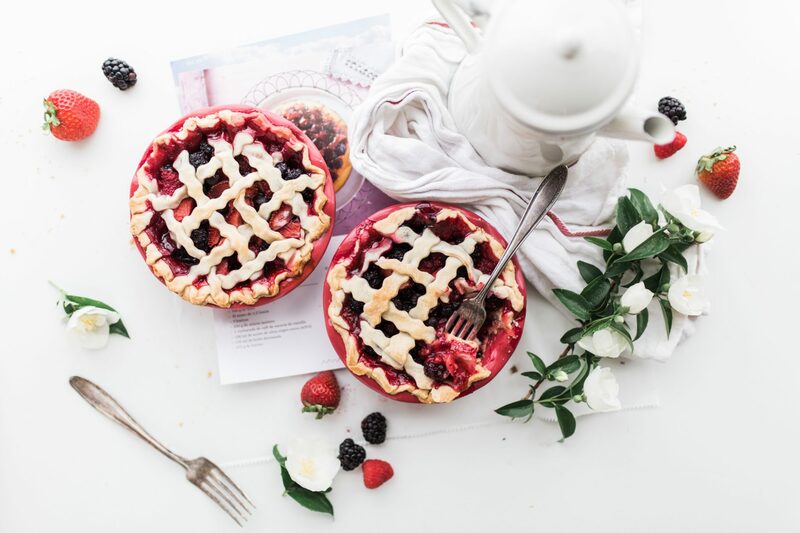 If you truly want to experience the tastes, textures, sights and smells of the contestants’ baking creations, you will have to look up some Great British Bake Off recipes and organise your own bake-off competition at work or at home. With our brand-new bake-off judging scorecard, which has been created especially for this occasion, we bring the Great British Bake Off to your very own kitchen. Get together with friends or family to share in some quality time in the kitchen, with delicious treats awaiting you by the end of it as a cherry on top. Who Will Win This Bake Off? A freshly baked cake is aromatic, as its warmth enhances the smells it gives off. You can rate your contestants’ cakes on the intensity, character, pleasantness and pervasiveness of their smell, and deduct points for burnt smells and other unpleasant odours. What makes a good texture heavily depends on the cake you are baking. Whereas butter cakes and chocolate cakes are supposed to have a gooey texture, crumbles should be soft and mushy below with a rough, crunchy streusel on top, while sponge cakes should be light and airy. What you’ll usually want to avoid is a dense cake, as this means that it has had too much sugar, too much liquid or too little air beaten into it. In a good cake, you’ll usually find a balanced combination of flavours, and none of these should cancel out the others. When judging a cake on its taste, it comes in handy to be able to distinguish between bitter, salty, sour, astringent, sweet, pungent and umami – the seven basic tastes as identified by scientists. Creativity is the key to creating something new and unexpected. When entering into a baking competition, you’ll sometimes want to go by a traditional recipe, but even then, it helps to put your own spin on it in order to make it stand out. If you’re a really confident baker, you might want to improvise your own recipe – although we do recommend that you try it out beforehand in order to avoid a catastrophe! Sometimes in a baking competition, the difference between a loser and a winner is all about the looks. Making sure your contribution looks neat and tidy, with unique, handcrafted decorations on top, can be the defining difference between your cake and your competitors’. Who will be this year’s Great British Bake Off winners? 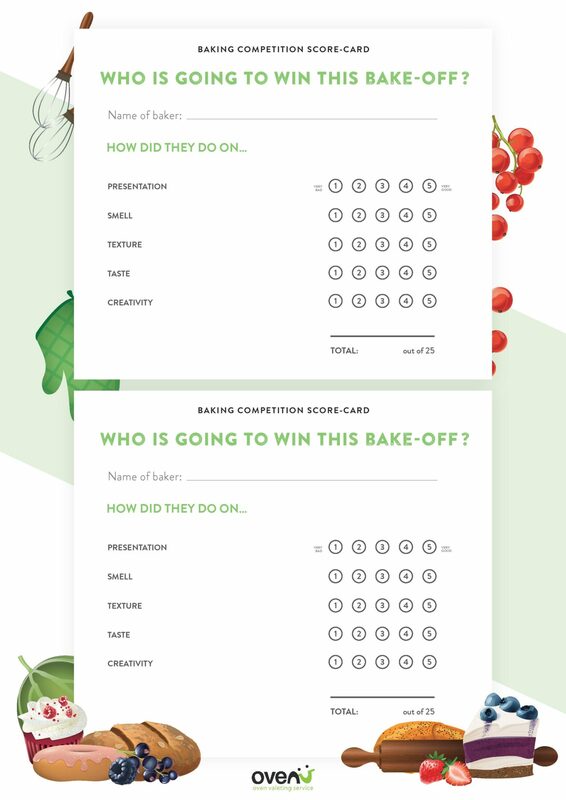 So far, it remains a mystery, but with this dedicated bake-off judging scorecard, you can host your own baking competition at work or at home. Enjoy – and don’t forget to clean your oven!